Redbourn provide an integrated Systems Management Service that monitor, diagnose and alert for failure on system resources, applications and hardware. Our services are able to monitor on all core platforms. Redbourn’s Systems Management Services can provide multiple & cross-platform Server Monitoring and Automation. Our hardware monitoring solutions can be installed quickly and effortlessly and have a very user friendly interface making it easy to use. The software can be used for iSeries® Monitoring, Unix Server Monitoring, Windows Server Monitoring, OpenVMS Server Monitoring, Linux Server Monitoring and Virtualised Server Monitoring. With our Systems Management services, your hardware is continuously monitored 24/7 with an unparalleled level of automation using intelligent alerting and automated alert fixes. This high level of automation guarantees your valuable IT resources are kept informed of any hardware issues but are only engaged when completely necessary. Our systems management services will give you the peace of mind and security that your business critical systems are being fully monitored and maintained. 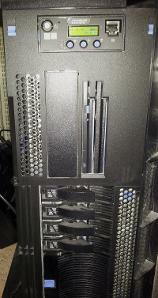 To discuss your hardware monitoring requirements with our team of experts contact us on 01582 794 229. Redbourn’s Systems Management Services provide an easy to configure, intuitive monitoring system that is able to diagnose and alert for almost any type and all sizes of operating system environment. Redbourn’s Systems Management Services encompass all available core platforms. From the overall picture to the minutest detail, your teams need to control and maintain every feature of each operating system. All facets of your operating system’s performance and resources are continually monitored and problems reported by Redbourn’s Operating System Monitoring service. 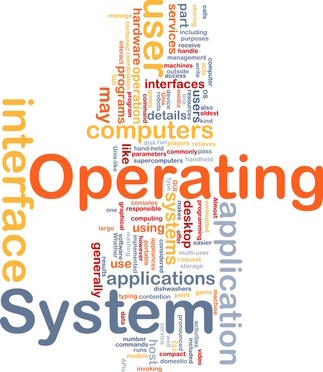 All operating system functions available to our solution are monitored. The information received from these platforms is filtered through our integral intelligence so only real problems are displayed. This provides significant, detailed information to your teams. To discuss your Operating System Monitoring and Reporting needs with an expert call Redbourn on 01582 794 229. Redbourn’s Systems Management application monitoring services deliver an effective way of monitoring and controlling business critical applications. Redbourn’s application monitoring software runs 24/7 to ensure business critical applications function automatically without continuous input from the operator, saving time and resources. Core third party products such as SQL Oracle Exhchange, JD Edwards, Figaro are monitored out of box and bespoke applications are monitored with simple configuration. Redbourn’s Systems Management application monitoring services do not just observe and detect for failure, they automatically manage and prevent it. To learn more about the benefits of Redbourn’s Application Monitoring services, talk to an expert on 01582 794 229.